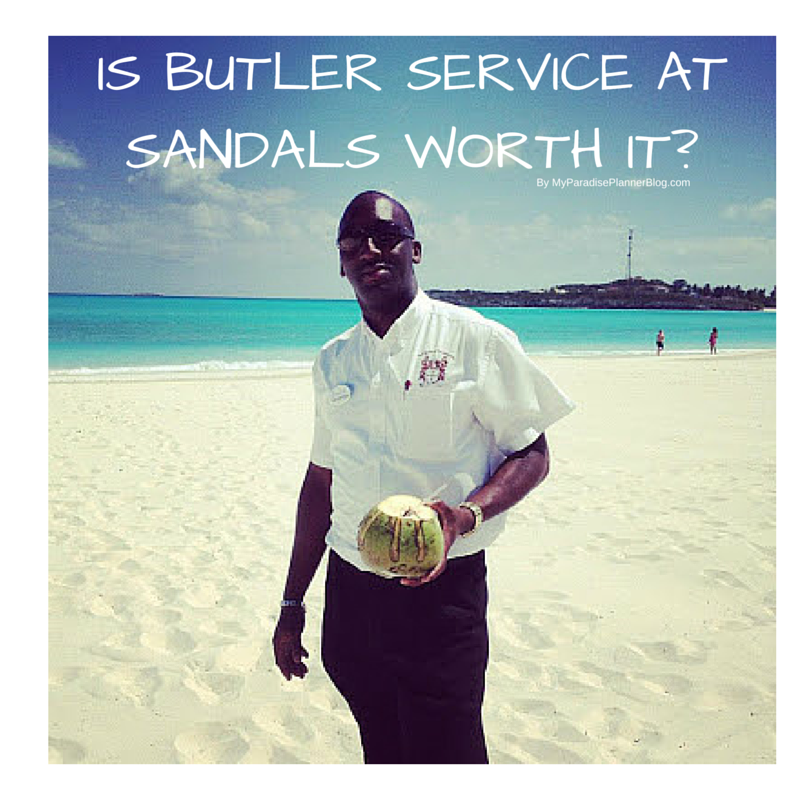 Is The Butler Service At Sandals Resorts Really Worth It? 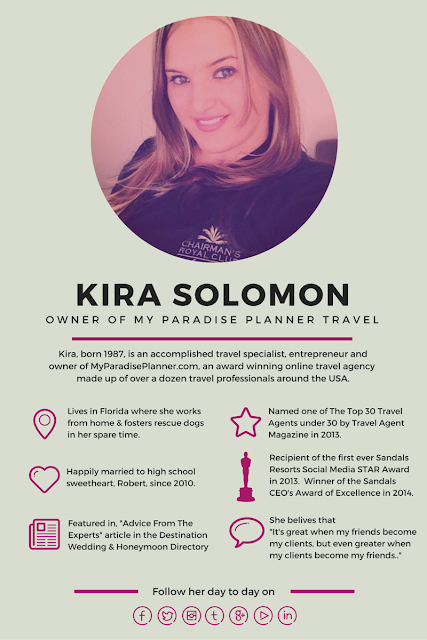 When clients contact me to help plan their trips, they already know how much they are comfortable spending. They also know how far they are willing to push their budget in order to get exactly what they want. Most end up on the fence between a Concierge suite that would fall just within their budget and a Butler suite that would put them a little over. 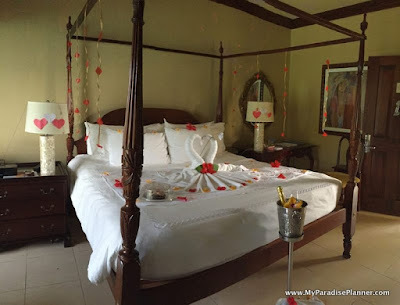 Many guests can read about the butler perks on the Sandals website, and while the short list provided on the site is a great starting point, it only scratches the surface. You'll never fully be able to explain how great the butler service can be, unless you've experienced it for yourself. Lucky for my clients, I-- their Sandals specialist-- have, and in order to help them, I have decided to put my experiences and tips in writing. Go All Out: There are plenty of ways to "go all out" at Sandals. If your budget allows it, go big! Consider booking one of the top suites at the resort. 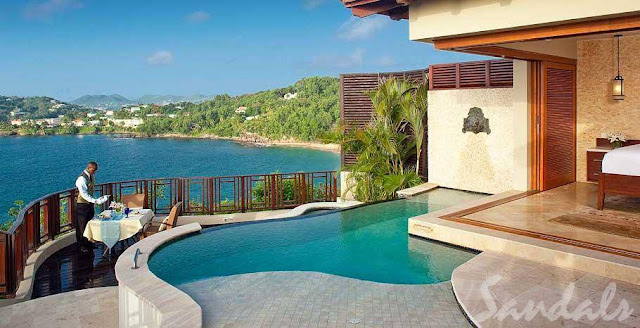 A Millionaire Suite at Sandals La Toc is a perfect example. There are only four of them, and they are one of the top suites within the Sandals Resorts chain. It's a once-in-a-lifetime experience to live like a millionaire on the hillside bluff in St. Lucia overlooking the beautiful green mountains and gorgeous blue ocean. If you think you can't afford to "go all out", there are plenty of resort options and special deals to take into consideration. For the same price as an entry level butler suite at one resort, you can stay in the top butler suite at another. The higher the category the bigger the rooms and the better the views (usually). You may even get a room with a private plunge pool or a jacuzzi bathtub. 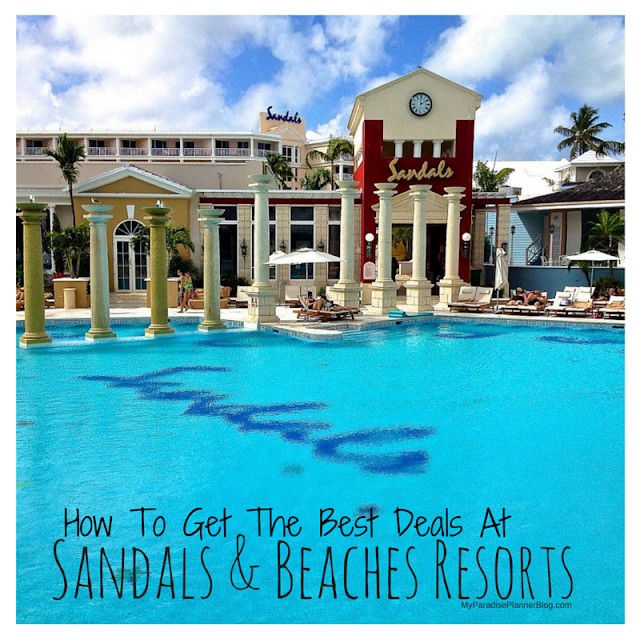 Talk to your Sandals specialist about what deals are best for you and your budget. Loosen Up: I've never experienced someone waiting on me hand and foot, so the first time I had a personal butler it took some getting used to. I was feeling uncomfortable and unsure of asking them for anything. I didn't want to be a burden and a bother, even though they made it abundantly clear that they were at my beck and call. I couldn't wrap my head around the idea that all I had to do was pick up a phone and request something. I had never uttered the sentence "so sorry to bother you" that many times in a week before. For the first few days I was stubborn and adamant on doing everything for myself. In fact, I don't even think we saw our butler for the first few days. It was about halfway through our trip that I finally realized I was going about this the wrong way. I was avoiding our butler because I felt bad asking him for things, but I had to remind myself of the fact that this was his job. Little by little I started putting in requests for things I would normally do myself, such as drawing a bubble bath or saving a seat on the beach. I kept telling myself that if I didn't loosen up, I wasn't going to get the full experience to share with my clients. 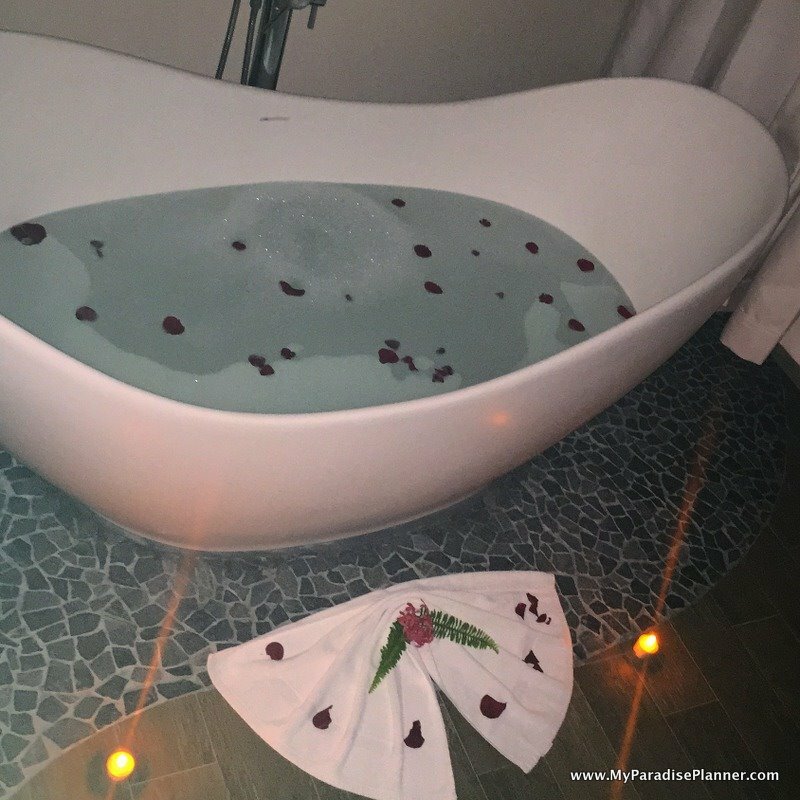 Finally, I relinquished control and let our butler handle everything the last few days of our trip, which freed me up to relax and focus on enjoying the resort. I was even pleasantly surprised when our butler remembered me mentioning my love of coconut juice, and showed up on the beach with a fresh coconut in hand. Maybe I could get used to this after all? 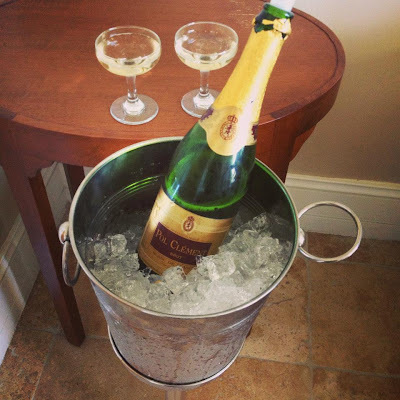 Know What To Expect: The oddest moment was when our first butler asked me "would you like me to unpack for you?" I knew this was part of the butler package, but the thought of this stranger handling my delicates weirded me out, so I declined the offer. On our next trip I mulled the idea over with my husband. Did we really need someone to unpack for us? We agreed that as a precaution we'd pack our undergarments in ziplock bags just in case, but that we most likely wouldn't bother requesting it. 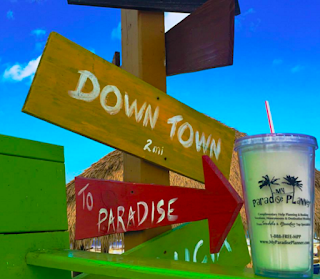 When we got to the resort, our decision changed. Knowing our delicates were stored safely in bags, I didn't feel apprehensive at all. In fact, after all the traveling we had done, I welcomed the idea of someone else doing all the work for us. So we set out to go have dinner and when we returned to the room our clothes were neatly put away, our luggage stored out of sight, and our shoes lined up in the closet. All this was done while we were out enjoying the resort. Ask me if I'll have my butlers unpack for me in the future... You bet! Because I realized something while I stood there staring at my dresses hanging in the closet-- I've never once unpacked my clothes on a vacation! We've always lived out of a suitcase for a week, in order to avoid the tedious chore of unpacking and repacking. 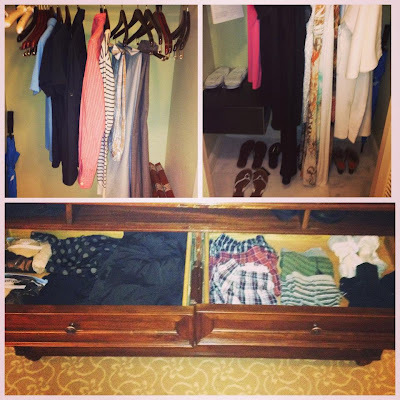 For the first time, we utilized the drawers and closet space in our suite, and it felt great to not have to deal with wrinkled clothes and luggage stacked in a corner. To make it easier for my clients, I've since come up with an online butler preference form. The form is used to help them, and their butlers, know what to expect during their stay. This way there is no confusion, and all requests can be arranged ahead of my client's arrival. All they have to do is show up and enjoy. Don't Be Afraid To Ask: When my mother-in-law had sunburn on our last trip, my first thought was to tell her to head down to the gift shop and buy an overpriced bottle of aloe. But then I remembered a very important fact, we had a butler! Instead, I made a quick call to our butler, Reynard, who assured me he would see what he could do. Sure enough, a little while later he arrived to our room with a large bottle of aloe that was almost completely full. Turns out another guest left it behind and instead of throwing it out, they hung onto it for just that reason. We didn't have to pay a dime for it. Or the time when my husband mentioned his favorite drink was Crown Royal on the rocks with a splash of water. 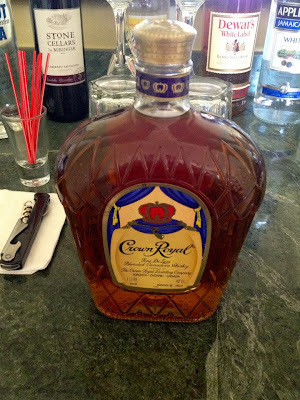 The butler had a brand new unopened bottle of Crown Royal sitting on our in-room bar the next morning. My favorite example is the bubble bath. Who doesn't love a relaxing bubble bath? But setting one up at home just ins't the same. It's never truly relaxing. One of my favorite perks of butler service at Sandals is that if your butler will draw one for you while you are out at dinner. And not your typical bath with bubbles. I'm talking bath with bubbles and soothing salts and fresh flower petals. It's the epitome of romance! Just remember, these butlers aren't mind readers. The only way they're going to know what you want is if you speak up. Don't be afraid to ask for something (as long as it's realistic, of course). These butlers were highly trained to be at your service. 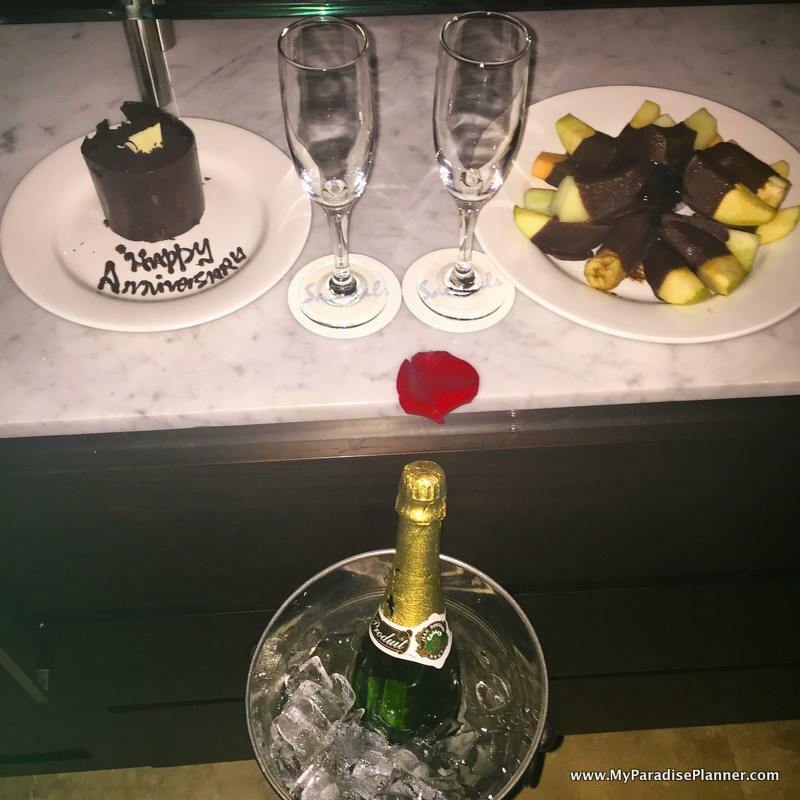 Gift from our butlers on our anniversary night. The whole suite was decorated for our special night! Live Like A Celebrity For A Week: We don't mean throwing a temper tantrum to get you way. We simply mean indulging in the fact that you can have whatever you want, whenever you want, while also being appreciative of the people making that possible for you. So what does living like a celebrity entail? Well on top of all the other wonderful things I've already mentioned, there is also the ultra private VIP check-in. While all the other guests are checking in at the front desk, or in the Concierge lounge, you're being whisked away to your room for a private check-in. It's not just amazing views of the ocean and top of the line accommodations waiting for you in your room-- you'll also have added benefits such as an upgraded in-room bar, a fully stocked mini-fridge, a cooler to bring your drinks and snacks to the beach, welcome letters and plates of fresh fruit and sweets, and even a bottle of champagne on ice all awaiting your arrival. And every time you return to your room you'll find something new and exciting. 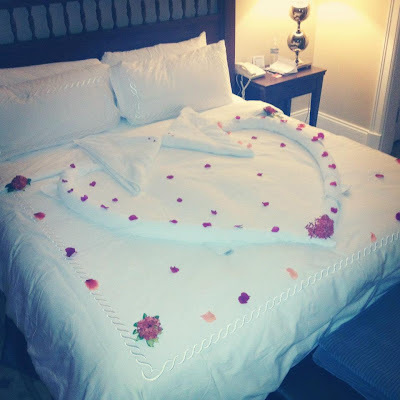 Maybe fresh flowers on the bed, an adorable towel animals, or (my favorite) a note wishing you sweet dreams from your butlers with famous love quotes on them. Nothing makes you feel more special than a personal note from your butlers reminding you of the Sandals motto "Love Is All You Need". The true VIP experience is the fact that you don't have to do anything but press a button for service. Upon check-in your butler will give you a special phone used to contact them whenever you need them. All you have to do is press the button and they are there to help you. Want the best chairs on the beach? No need to wake up at sunrise to save them, your butler will reserve them for you. Want a drink? Your butler will bring it right to you. Want dinner reservations? Your butler has already booked you the best table at the restaurant. Don't feel like getting out of bed to go to dinner? Forget the room service menu, your butler will bring dinner to your suite, from any restaurant on property! Want to book tours, excursions, or spa treatments? Don't wait in line at the desk, your butler has it covered. Anything you want or need, they will get it for you. You'll never experience that at home, so why not go all out and experience it on vacation? It's Okay To Say No: Butler service is not for everybody, and that's okay! 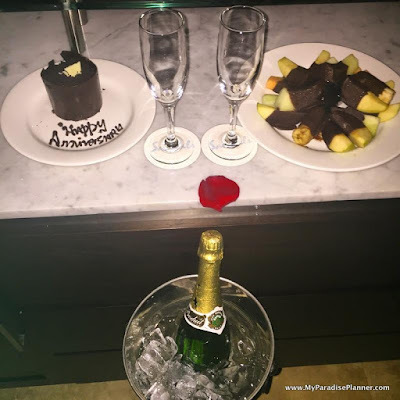 Most of you will read this and think "wow, I can't wait to experience butler service at Sandals", but there will still be some who are unsure, or maybe even completely sure that butler service is not for them or their budget. The Concierge service at Sandals is still an excellent option for those looking for the VIP experience without the butler. The concierge desk will still make your dinner reservations, book your tours and spa treatments, and even offer you private check-in/check-out at the Concierge lounge. 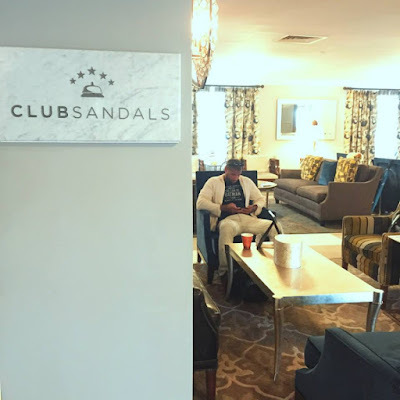 In fact, Sandals has just introduced Club Sandals, a new quiet lounge offering snacks and drinks daily, with free wifi, TVs, and even Kindles to borrow for reading. Check out our similar post titled "Is Club Sandals Worth It?" to find out more information about this level of service. There are so many reasons why butler service is totally worth every penny and more, but the truth is, it's only worth it if you aren't afraid to use your butler to your advantage. Don't be shy, they want to make your every wish come true. Its what they were trained to do; what they are paid to do. Just don't forget this important tip: Butlers are the only Sandals employees (aside from spa attendants) who are able to receive a tip from the guests. So if you're butler did an outstanding job making your vacation memorable, consider leaving them a tip to show your gratitude. Not sure how much to tip them? 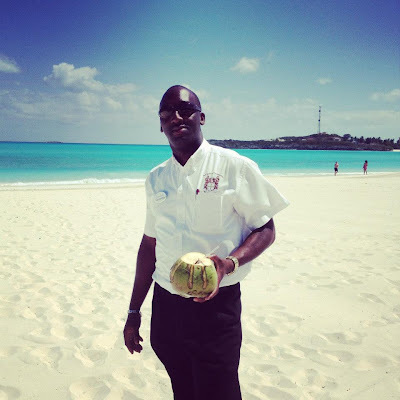 Check out this blog post we did about the Tipping Policies at Sandals Resorts. 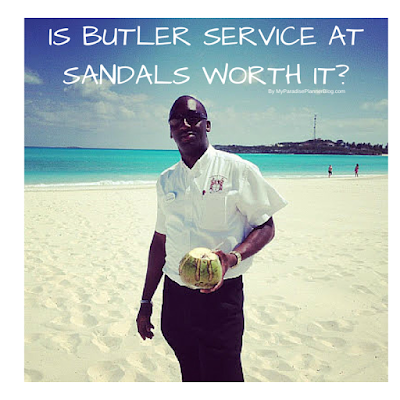 Butler service at Sandals is not a once-in-a-lifetime experience. It is however a life changing experience and I can guarantee that once you go butler you'll never go back!